Our guide to Washington will help you find the best vegetarian restaurants in Washington District of Columbia. There are tons of great vegetarian restaurants in the city of Washington, our city guide will help you find the best vegetarian restaurants. You may have a hard time deciding what to do in Washington, but we make your decision easy. 1100 Pennsylvania Ave NW, (202) 371-2295 - Indian Delight is a vegetarian restaurant located in Washington DC. 1337 Connecticut Ave NW, (202) 331-1414 - Heritage India is a vegetarian restaurant located in Washington DC. 1414 9th St NW, (202) 232-4585 - Vegetate is a vegetarian restaurant located in Washington DC. 1810 k St NW, (202) 223-5043 - Nirvana is a vegetarian restaurant located in Washington DC. 1967 Calvert St NW, (202) 232-5431 - Mama Ayeshas Restaurant is a vegetarian restaurant located in Washington DC. 2400 Wisconsin Ave NW, (202) 333-3120 - Heritage India is a vegetarian restaurant located in Washington DC. 2425 18th St NW, (202) 234-1969 - Amsterdam Falafelshop is a vegetarian restaurant located in Washington DC. 2433 18th St NW, (202) 518-5892 - Jyoti Restaurant is a vegetarian restaurant located in Washington DC. 2434 18th St NW, (202) 462-4100 - Meskerem Ethiopian Restaurant is a vegetarian restaurant located in Washington DC. 2606 Georgia Ave NW, (202) 328-7685 - Soul Vegetarian's Exodus is a vegetarian restaurant located in Washington DC. 2928 Georgia Ave NW, (202) 232-1700 - Everlasting Life Cafe is a vegetarian restaurant located in Washington DC. 3291 m St NW, (202) 625-6625 - Amma Vegetarian Kitchen is a vegetarian restaurant located in Washington DC. 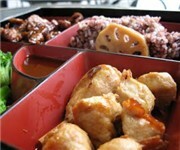 705 7th St NW, (202) 393-2825 - Sushi Go Round is a vegetarian restaurant located in Washington DC. 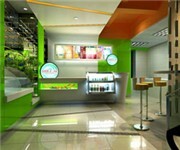 1990 K St NW, (202) 223-9663 - Juice Zone is a vegetarian juice / smoothy store located in Washington DC. There are plenty more vegetarian restaurants in Washington. See all vegetarian restaurants in Washington District of Columbia.